When Hurricane Katrina struck New Orleans, Abdulrahman Zeitoun, a prosperous Syrian-American and father of four, chose to stay through the storm to protect his house and contracting business. 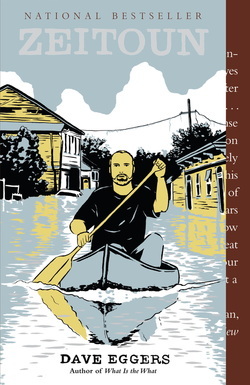 In the days after, he traveled the flooded streets in a secondhand canoe, passing on supplies and helping those he could. But, on September 6, 2005, Zeitoun abruptly disappeared. Eggers’s riveting nonfiction book, three years in the making, explores Zeitoun’s roots in Syria, his marriage to Kathy—an American who converted to Islam—and their children, and the surreal atmosphere (in New Orleans and the United States generally) in which what happened to Abdulrahman Zeitoun became possible. Like What Is the What, Zeitoun was written in close collaboration with its subjects and involved vast research—in this case, in the U.S., Spain, and Syria. Information about Dave Eggers provided from his web site.Dave Eggers is the author of six previous books, including Zeitoun, winner of the American Book Award and the Dayton Literary Peace Prize. What Is the What was a finalist for the 2006 National Book Critics Circle Award and won France’s Prix Medici. That book, about Valentino Achak Deng, a survivor of the civil war in Sudan, gave birth to the Valentino Achak Deng Foundation, which operates a secondary school in South Sudan run by Mr. Deng. Eggers is the founder and editor of McSweeney’s, an independent publishing house based in San Francisco that produces a quarterly journal, a monthly magazine, The Believer, a quarterlyDVD of short films and documentaries, Wholphin, and an oral history series, Voice of Witness. In 2002, with Nínive Calegari he cofounded 826 Valencia, a nonprofit writing and tutoring center for youth in the Mission District of San Francisco. Local communities have since opened sister 826 centers in Chicago, Los Angeles, New York, Ann Arbor, Seattle, Boston and Washington, DC. A native of Chicago, Eggers now lives in Northern California with his wife and two children. What are your first impressions of this book? What surprised you? What social and ethical issues did the book raise in your mind? What do you remember of Hurricane Katrina? Did reading this book bring back memories? How did Abdulrahman’s motives for staying in New Orleans change over time and why did they change? The way this section unfolds, we learn a lot about the Zeitoun family and their life in New Orleans before the storm. We learn something about the backgrounds of both Kathy and Abdulraman and we learn quite a lot about Abdulraman’s family in Syria. In many ways, they are a typical American family, except for their religion and Zeitoun’s status as an immigrant. Did you feel connected to this family? Did you get a good picture of who they are? What is your opinion of Eggers' approach to writing about traumatic regional and political events through the lives of individuals impacted by them? Explain the benefits and drawbacks to relying on personal narratives as a source of information. What is the value of giving voice to those who have experienced such injustices? How do you think the government can learn from this disaster? Do you think people have the capability to govern objectively by law in a crisis? What do humans most easily gravitate towards in a disaster: hope or fear? Why? Did Abdulrahman’s story give you a new perspective on a Muslim family in America? Why or why not? Abdulrahman’s imprisonment includes many injustices. Why did these injustices happen to him? What do you learn about him, as a result of this experience? How does his experience impact his personality, character and behavior? How does this experience affect his wife, Kathy, and their children? In large skillet, add bit of oil to prevent sticking. Add veggies and seasonings. Always adding seasoning early will allow the true herbal tastes to stand out. When onions begin to clarify, add butter and melt. Add tomato paste, melt down. Add seafood and stock. Simmer for approx.15-20 min. Add small slow stream of starch mixture swiftly stirring until it thickens a bit. Serve over warmed rice. ENJOY! 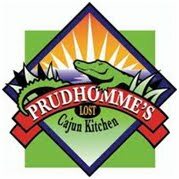 A note about Crawfish Etouffee from Sharon Prudhomme:Cajuns are well known for being self sufficient. Living off the land, creeks, rivers, ponds and bayous have sustained families in lower Louisiana for generations. If you can grow it, raise it, catch it, trap or hunt it, you’ll have ample food on the table. Being resourceful helped many through the great depression. One chicken could make a gumbo to feed 15 or more folks! Chicken, crawfish & shrimp are often mainstays for families throughout Louisiana. Etouffee is French for "smothered." In most cases, etouffee is “smothered” over rice. I’ve seen it over eggs, catfish, chicken, etc. Crawfish Etouffee is a popular dish often made several different ways as they had developed in regional family styles. Four main styles had developed: 1) butter & onions, 2) ketchup, butter & onions, 3) Rue, butter & onions, 4) butter, onions, peppers, celery (known as the Cajun trilogy) and tomato - this being our choice. Crawfish, crawdads, mudbugs also known as crayfish up in these parts are a mainstay for dining! These sweet little crustacean creatures are actually farm raised but do live naturally in the high water table ground.